eHealth Exchange will become both a member of Carequality and an implementer of its standards, helping expand its presence to other participants. 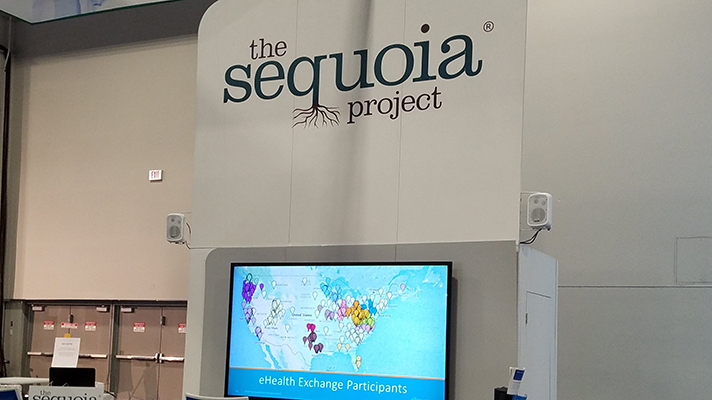 The Sequoia Project announced plans to implement a new corporate structure this summer that will emphasize its role as a convener for nationwide interoperability initiatives, leading to two distinct subsidiaries: eHealth Exchange and Carequality. Together, the eHealth Exchange, which traces its roots back more than a decade to ONC's old Nationwide Health Information Network, and Carequality, which was launched by Sequoia as an interoperability framework in late 2015, with EHR vendors such as Epic, eClinicalWorks and athenahealth signing on to its principles soon after, serve distinct but complementary roles in advancing information exchange in the U.S.
Sequoia Project's new approach aims to ensure that both projects have the governance and management resources they need. The restructuring was "driven by the significant growth and progress of the eHealth Exchange and Carequality," said Mariann Yeager, CEO of The Sequoia Project (which also this week announced its expansion plans for the PULSE exchange platform for disaster response). She said the plan was to maintain the operational efficiencies for each initiative, "while expanding Sequoia's focus on incubating new interoperability opportunities and overcoming impediments to health information exchange." As part of the new organizational arrangement, eHealth Exchange will become both a member of Carequality and an implementer of its standards – helping expand its presence to other networks that participate in Carequality. "For the last nine years, the eHealth Exchange has been the principal way the public and private sector share health information," said Jay Nakashima, eHealth Exchange's new vice president, in a statement. "I'm honored to take the helm at this critical stage of the network's evolution as we develop new services and features, beginning with operating as a separate legal entity and becoming a Carequality implementer." The eHealth Exchange network – used by more than 15 EHR vendors, nearly five dozen HIEs and in place at 75 percent of U.S. hospitals – enables the secure sharing of records for more than 120 million patients. The Centers for Medicaid and Medicare Services, Department of Defense, Department of Veteran Affairs and Social Security Administration also use it to exchange data with private sector organizations. Carequality's framework enables some 600,000 physicians nationwide to exchange health data. Sequoia Project officials say that when eHealth Exchange completes the Carequality application process, each eHealth Exchange participant will be able to use Carequality connectivity to share information with similarly-connected health systems. "Carequality's success as the leading national-level trusted exchange framework is predicated on our commitment to fairness and transparency," said Dave Cassel, vice president of Carequality, in a statement. "By reorganizing the eHealth Exchange and Carequality into separate legal entities, we further ensure unbiased, equitable treatment for the eHealth Exchange alongside every other implementer subject to Carequality oversight."